All About Real Estate Auctions: Living in a cave? 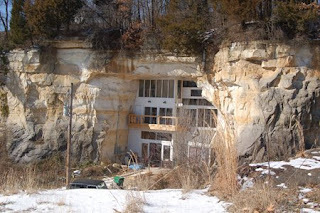 I ran across this fascinating story about a family who turned a cave in Missouri into their home. They are not able to get bank financing so they are trying to sell it on Ebay. They have received so much exposure that the last time I looked they had over 900,000 views on their online real estate auction and there are still 11 days left. Evidently they are having technical problems trying to answer questions and approve bidders and Ebay is working on it. All this attention will surely bring a solution. I'm sure a bank will step in and offer financing or they will be able to sell it for a nice profit. It's another example of how well the Internet can work for marketing. Online real estate auctions ... do they work? Will an online auction work in my area?